For Black please use link or scroll to the bottom of the page. Available in classic White, and now Black please see link below. it was just the shirt i was looking for. As initial comment. Very quick delivery. Good value for money and exactly what I was looking for, I had been looking for some time and this fit the bill. Shirts good quality at reasonable price. Only site I could find mandarin collar. Not value for money. Material and tailoring not good quality. Service rating : I'm sorry you weren't happy with the shirt, it is one of our Bestsellers. Please send it back freepost for a refund. Product : I'm sorry you weren't happy with the shirt, it is one of our Bestsellers. Please send it back freepost for a refund. Excellent quality as far as I can see so far. Exactly as described. Sizing spot on. Looks formal and very comphortable to wear. The item I ordered was of good quality material and also fitted my husband well. Love it. I'm sorry about the confusion, we've reviewed the policy, and applied the discount of £5 to your shirts, you are right, it should cover one white and one black shirt too, your card has been refunded £5, thank you for flagging this up to us. Great! Good shirt, fast delivery. The shirt was perfect, Rael Brook, a name I hadn't heard of since the 70's when I was a teacher in London. Sadly, the size that I ordered was too small and I needed it for a wedding. I travel to Eastern Europe as part of my work and I'd left it too late to return. Sadly, I had to phone to return the purchase and the lady I spoke to couldn't be more helpful. Excellent, "Old Fashioned," polite service, that I thought had gone. Thank you so much. Riichard E. Jones. B.A. Oxon. Hons. pp. Margaret T. Williams. Great quality production at a competitive price. Good quality and stylish shirt, unfortunately the collar was a bit tight for me. No problem in returning the item and refunded very quickly. 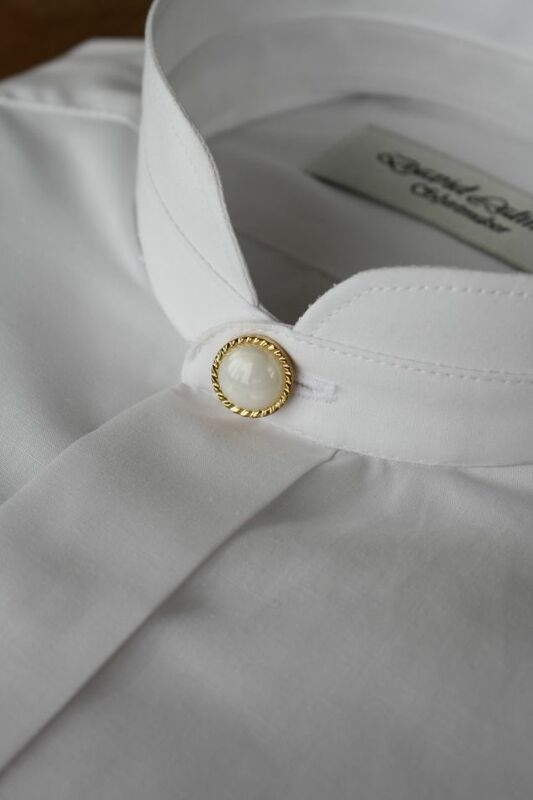 Good Quality Shirts with excellent professional stitch lines. Very good shirts. Good quality, fits well and easy to iron. Good service. - sorry, swop these comments over. Exactly as ordered and perfect for the wedding! Lovely quality. Looks expensive and feels expensive. Good fit. Very stylish. Next day delivery, really could not believe it..... this is the way to do business...well done!!!! Quite thin but excellent quality and elegant. Very pleased with the shirts. Excellent quality and fit. 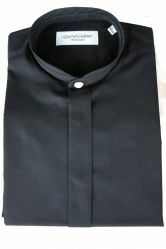 We will be doing them in white, black and navy, when we go live with them on the Ruert the Tailor shirts. I believe your website could be improved by better pictures - especially when one wishes to enlarge the images. I was looking for a 'cossack' type shirt (i.e. buttoning up the neck a little more than the one I purchased but I am quite satisfied with my purchase. Many thanks for your feedback, I will pass your comments on about the image we have on for this shirt. Some have a very good zoom on them. The shirt arrived within 24 hours and the fit and quality were brilliant ! At the moment we don't, but when we launch are bespoke site we hope to be able to offer more colours. Satisfied with the quality of the shirt, would order again. Would recommend to friend. The shirt arrived and I was a little nervous about the style and fitting of the shirt and overall quality. But, it fits like a glove and excellent quality. it is exactly what is required but it is a shame you do not do soetning that is better quality of fabric. I have been looking for this shirt for years. Very good quality and style, well presented in nice box. Love the style of the shirt and the quality, however, they do tend to be on the big size bodywise.